The global economy experienced higher economic growth at 3.9 percent for the first quarter of 2018. Activity improved in the advanced, emerging and developing countries with the latter two benefitting from increased trade and improvements in commodity prices. Advanced economies experienced stronger growth especially from the USA, Euro Zone and Japan. Structural impediments and political risks were the major threats to the global turnaround. Guyana’s economy experienced economic growth in most sectors during the first quarter of 2018. The agriculture sector registered increases in the production of rice, forestry and poultry meat which were attributed to favourable weather and market conditions, improved varieties and efficiency gains in production. The output of sugar declined due to the reduced operations of the Guyana Sugar Corporation (GUYSUCO). The mining & quarrying sector recorded greater production of bauxite, sand and stone due to favourable prices and demand. Conversely, the output of gold and diamond contracted. The gold industry experienced lesser declarations by the small & medium scale miners while the combined output of the foreign gold mining companies expanded. The manufacturing sector registered higher production of nitrogen gas, paints, liquid pharmaceuticals and detergent but lower production of oxygen, whitewash and margarine. modestly at the end of review period. The urban consumer price index fell by 0.3 percent at the end of March 2018. This rate was primarily on account of a decline in the category of food price. There were increases in the price indices of housing (which comprises fuel and power) as well as transport & communication. The overall balance of payments recorded a higher deficit of US$94.0 million compared to US$8.8 million for the same period last year. This was primarily due to an expansion of the current account deficit despite a surplus on the capital account. The deficit on the current account resulted from a higher merchandise trade deficit due to higher imports, primarily fuel. The overall value of transactions on the foreign exchange market declined by 5.4 percent or US$84.7 million to US$1,581.0 million. Lower volumes in the hard currency to the Bank is largely responsible for this outcome. In contrast, the cambio market, foreign currency accounts and soft currency transactions recorded higher values in transactions. Total purchases were greater than sales resulting in a net purchase position of US$41.7 million. The Bank’s weighted mid-rate, which is the reference for official transactions, was unchanged at G$206.50 during the first quarter of 2018.
and capital account deficits, stemming from increased expenditures that outweighed growths in revenues. Likewise, the NFPEs deficit was due to higher current and capital expenditures. Domestic debt stock amounted to G$89,572 million and accounted for 12.2 percent of GDP, which is relatively low by debt sustainability measures. This outturn was due to an increase in the stock of treasury bills. Similarly, domestic debt service payments as a percent of government current revenue stood at 1.9 percent, well below the liquidity threshold. 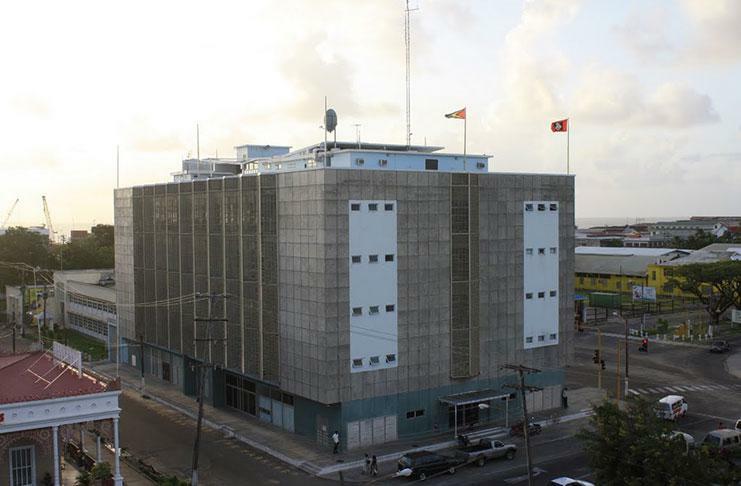 The stock of external debt increased to US$1,259.6 million on account of higher disbursements by the Inter-American Development Bank (IADB) and the Caribbean Development Bank (CDB) for financing of social and economic infrastructural projects. The external debt service to exports ratio rose to 7.4 percent from 4.8 percent at end-March 2018, below the liquidity threshold of 20 percent. The monetary aggregates of reserve money and broad money grew by 1.3 percent and 0.7 percent respectively. The former was mainly due to an increase in the net domestic assets of the Bank while the latter reflected an increase in net domestic credit which counterbalanced declines in net foreign assets and other items (net) respectively. Private sector credit fell by 2.0 percent compared to the decline of 1.5 percent one year ago. The weighted average lending rate increased while the treasury bill rates declined during the review period. The financial resources of the Non-Bank Financial Institutions (NBFIs), which includes depository and non-depository financial institutions, increased by 4.0 percent to G$226,842 million. The sector’s share of total assets in the financial sector grew marginally from 31.7 percent to 32.2 percent. At the end of the first quarter of 2018, the financial system remained relatively stable as Licensed Depository Financial Institutions (LDFIs) were adequately capitalized, highly liquid and profitable. Capital Adequacy Ratio (CAR) continued to exceed the prudential 8.0 percent benchmark while asset quality remained relatively satisfactory, despite the marginal increase when compared with the first quarter of 2017. The conduct of monetary policy continued to focus on price and exchange rate stability while ensuring adequate level of liquidity in the system and creating an enabling environment for economic growth. The Bank continued to use treasury bills as its primary open market operation for the effective management of liquidity, in addition to purchasing and selling foreign currency. 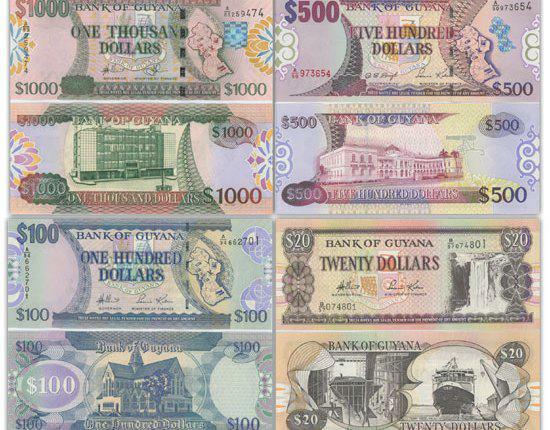 At the end of the first quarter of 2018, there was a net issue of G$1,000 million in treasury bills. Additionally, the Bank continued to facilitate efficient intermediation through the issuance of notes and coins as well as the promotion of an enhanced payment system.